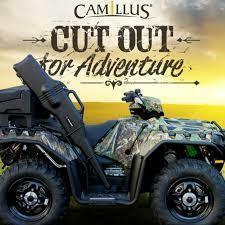 Fairfield, Conn. – Camillus Knives has announced it will launch a six-month ATV giveaway sweepstakes, offering the ‘Camillus Beast’ – a fully loaded 2014 Polaris Sportsman 850 XP ATV Special Edition loaded with Camillus knives, emergency kits, and survival gear as a grand prize. From January 13 until June 15, entrants can vie for one of four prize packs by entering online, via www.camillusknives.com/atv. Third- and fourth-prize winners will receive Camillus prize packs valued at more than $300 and $100. The Camillus brand was born in 1876 in Camillus, N.Y. The company was acquired by Acme United/Clauss Tools, longtime maker of scissors, shears, and tools in 2007 and now offers a wide array of fixed, folding, and replaceable blade system knives. Camillus products are made of Carbonitride Titanium™ cutlery-grade steel and are through-hardened to hold an edge. Disclaimer: I will received product in exchange for this post.